With attention-grabbing garage-punk tunes laden with lyrics of glib juvenilia and political nihilism, and certainly the most ingenious vegetable based anti-name in modern music, a sold out nationwide tour is considerable evidence of the growing buzz surrounding Manchester five-piece Cabbage. The pre-gig sighting at the bar of Kasabian drummer Ian Matthews is also a respectable endorsement before the band hit the stage to the “rollin’, rollin’, rollin” refrain of ‘Rawhide’. 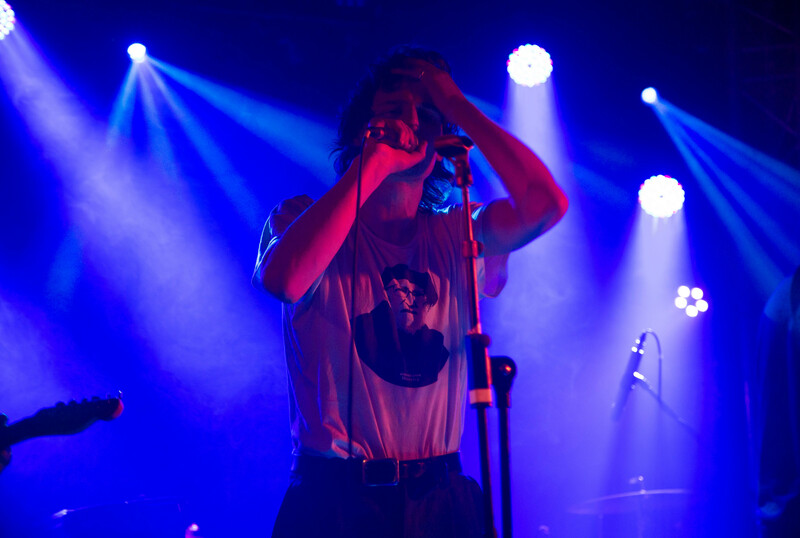 Having stated troubled American musician GG Allin – a man infamous for live performance coprophagia – as “a big inspiration” in previous interviews, one feels slightly leery given such lively on stage beginnings. However, what transpires is nothing more transgressive than Martin going shirtless and a stray bit of gob from Broadbent, along with the latter’s regular forays into the front row; while an overt penchant for puerility, shock-seeking imagery and the occasional ickiness witnessed in their music videos leads one to the anticipation of something dubiously unpredictable on stage, this is largely welcome. Though one can be agnostic of the line walked between merited attention-grabbing and conscious attention-seeking, Cabbage leave plenty to write home about. And not an act of coprophagia in sight. 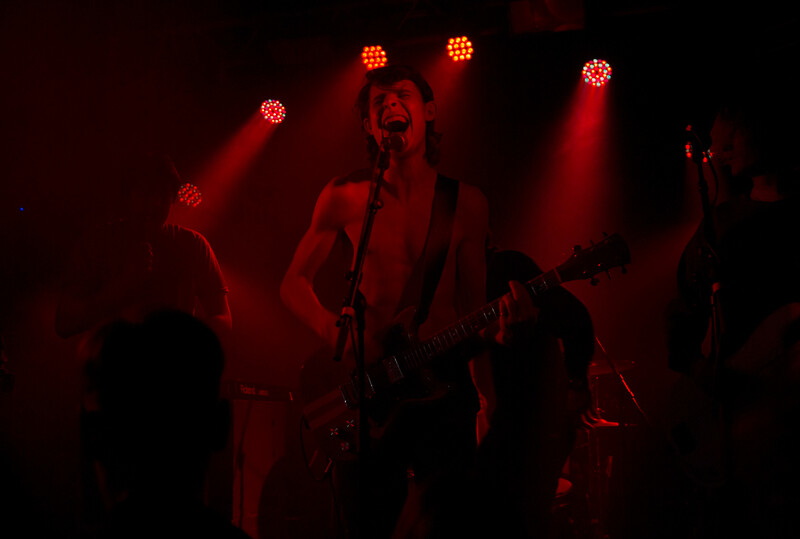 Photographs by Karina Jacenko – check out our full gallery from the gig. 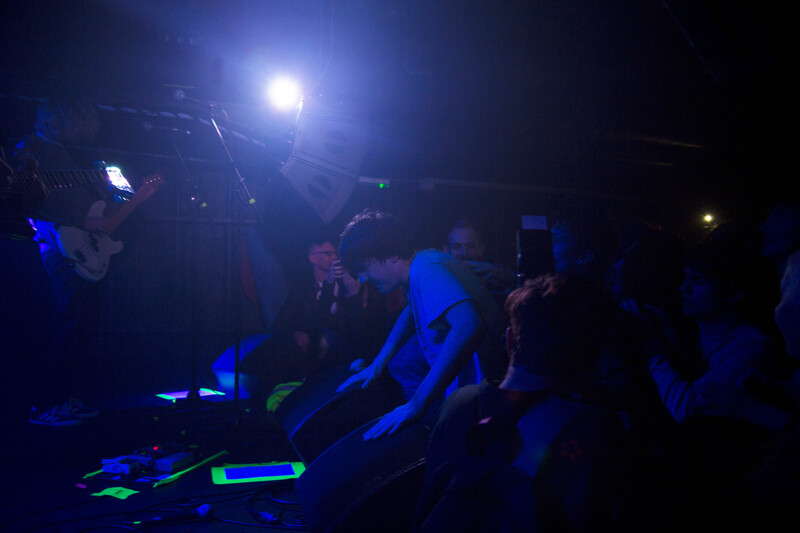 Tagged bristol, CABBAGE, gig, Gig review, karina jecenko, live, scott hammond, Thekla. Bookmark the permalink.